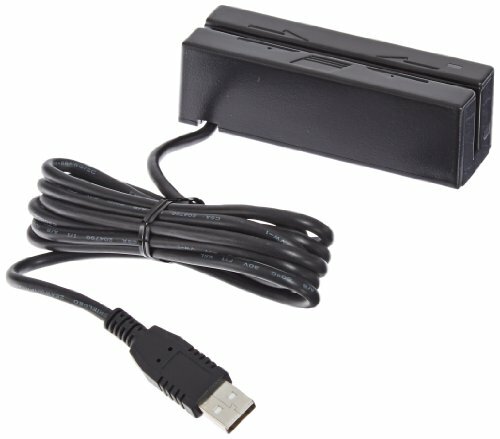 The Magtek USB HID magnetic stripe reader conforms to the USB HID Class specification Version 1.1 and requires a Windows HID driver as it DOES NOT emulate keyboard keystrokes. This reader gathers card data directly from the USB port so if you currently use keyboard wedge MSR this is not the one to purchase. This model can be reconfigured in the field and meets the USB requirements for less than one unit load. A green/red LED indicator on the reader provides the operator with status of the reader operations. The SureSwipe reader captures 2 tracks of data from all ISO and AAMVA encoded magnetic stripe cards. Certifications and Standards: ISO, AAMVA. Behaves like a vendor-defined HID device so that a direct communication path can be established between the host application and the device without interference such as keystrokes from other HID devices. Uses standard Windows API calls that communicate to the device through the HID driver that comes with Windows.